I saw off an asylum-seeking family yesterday that returned to Pakistan. I had the privilege of riding with them to the airport in the immigration van that took them. The father had been in the Bangkok Immigration Detention Center for 19 months and finally decided he had to be with his family. His wife had been taking care of their four young children herself. His baby girl was so young when he was arrested – just a few months – that after 19 months of not seeing her father she did not know or recognize him. It was hard to see him stretch out his arms to embrace her and see her reject him. These days many families are forced to go back or face indefinite detention in an Immigration Detention Center. Regular readers will know that Pakistani asylum-seekers in Thailand arrived generally as tourists and went to the UNHCR offices to apply for asylum. Most asylum-seekers end up unable to maintain a Thai visa for obvious reasons, which makes them subject to arrest and detention. The UN is obviously a completely separate entity from the Thai government and each has their own interests. Thailand does not particularly want a flood of refugees so they have decided to discourage others from coming by making life difficult for those that are already there. The situation was complicated even further in August 2015 by the Erawan Shrine bombing which left 20 dead. That act of terrorism may have been related to a dark underworld of illegal immigration involving Turks and Uyghurs and China and the perpetrators may have been illegal foreigners. In the more innocent pre-bombing days, bails were offered to detainees in immigration detention, but since the bombing, almost two years now, there have been no bails. 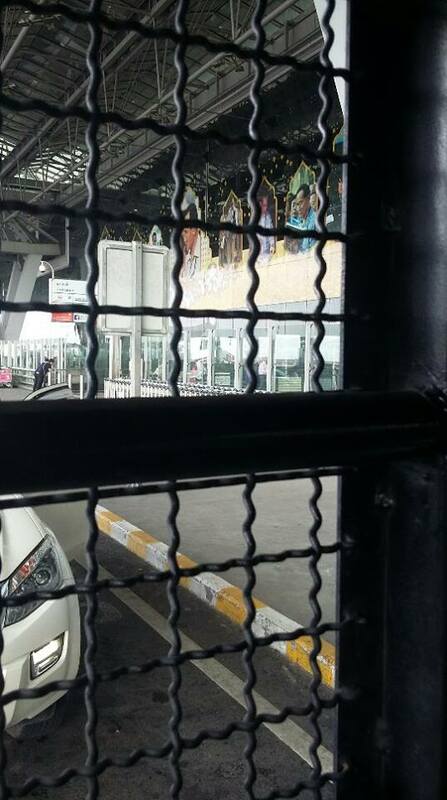 That means that detainees have no practical hope of some sort of freedom within the Thai system anymore. If they are in detention, their only option is to leave the country and they either must return to their country of origin, or if they are resettled by a lengthy legal process with a third country that accepts them, generally through the UN. The great majority don’t have resettlement options which means they must return to their country of origin if they would hope to leave detention. The father of our story held out for 19 months. But he has four young children. Going back is dangerous but he finally decided that he needed to be with his family, come what may. What would you do? Just the weekend before he left, he held in his arms the expiring form of a fellow Pakistani Christian asylum-seeker, Ijaz*. Ijaz, who had heart problems, had just learned the day before that his asylum case had been rejected by the UN. As he tells it, Ijaz sought medical attention but for various reasons the guards did not believe he was sick. Reports say that Ijaz was only 36 years old. Should Ijaz have gone back before instead of waiting things out to see what would happen with his case? Perhaps he would still be alive today, but facing a whole different set of dangers, if he did. Most asylum-seekers are determined to see things through with their cases and many of them that are in detention are now approaching two years. Two years away from family in a cell shared by 150 others where disease, poor ventilation, poor diet, etc., etc. take a toll, and may have serious short term and long term effects. So the father of our story opted to go back. He has no money, no property, few options. But he does have faith and we hope that the Love Movement can help him. We hope we can create a network of families that have gone back so we and they can help support each other. We hope we can do something to provide opportunities for these families so that they can survive and stay safe from the dangers that lead them to seek asylum in the first place. More than that, we hope they will impact Pakistan by bringing the principles of the Love Movement there so all can learn of them.